**SPOILER ALERT** If you have not read the book or watched the movie, this book review will reveal certain aspects of the plot. Synopsis: Nick and Amy Dunne got married and built a life in New York City. Due to personal circumstances, they move back to Nick's home town. On their fifth wedding anniversary, Nick discovers that Amy goes missing. Through Amy's yearly tradition of an anniversary scavenger hunt, Nick pursues his own investigation. He becomes a prime suspect throughout the investigation with the police. Why Did I Pick This Book? : With all the hype and craze from the movie and book, I had to join in! I'm glad I did! Favourite Part: The author's writing style! I thought that she was very clever with how she structures the chapters. She flips between the point of view of Nick and Amy (Amy through her diary mostly). Would I Recommend It? : Go out and buy the book now (If you haven't read it)! 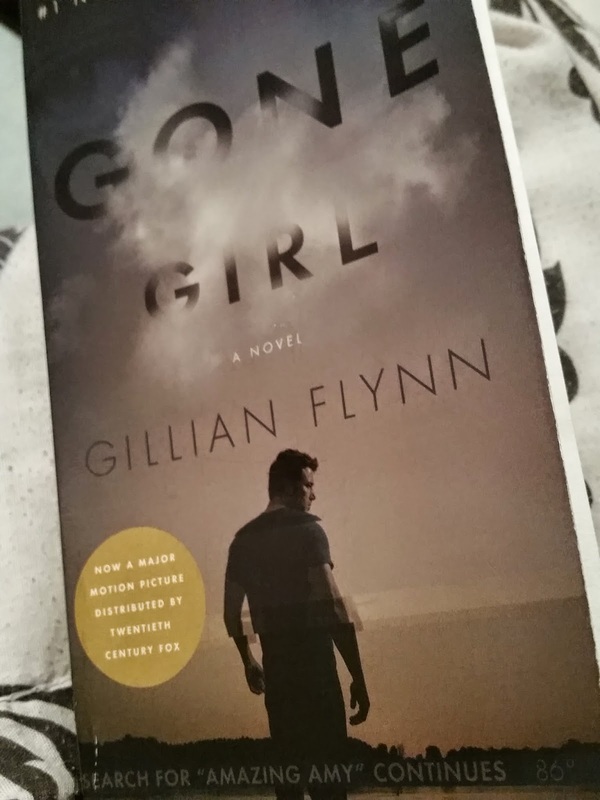 If you like a good thriller or mystery book, you have to read Gone Girl. I don't think I've read a book so quickly before (and that's with working, household responsibilities, fun time & blogging all mixed in). Definitely a must read! My only disappointment is the ending of the book which I did not like at all! Very upset and disappointed. I wish Nick would have been able to get out of the relationship to live his life without Amy always consuming his every thought and action. It's upsetting to see that he had to settle for that. Although I did read an interview by the author explaining the ending and she mentioned that she really couldn't structure it any other way simply because Amy was always thinking 3 steps ahead of Nick, always. It would have been impossible for the police to catch a clue that it was her. Also she explained that she didn't want Nick to be arrested in the book, so essentially he couldn't kill her either. It's one of those books where everything was just awesome in terms of a story line, but I was not happy with the ending. How Would The Movie Do? : I cannot wait to see the movie! I have to wait for my hubby to read the book first. I read that the author was very closely related to the production of the movie to ensure that the movie would be true to the book. We'll see! Would I Read Other Books By This Author: Yes! I am willing to read her other books as well. If they are even half as good as Gone Girl, it will be worth the read. First Impressions: I really like the Divergent series so reading this book is a must for me to shed some more light on the character named Four.